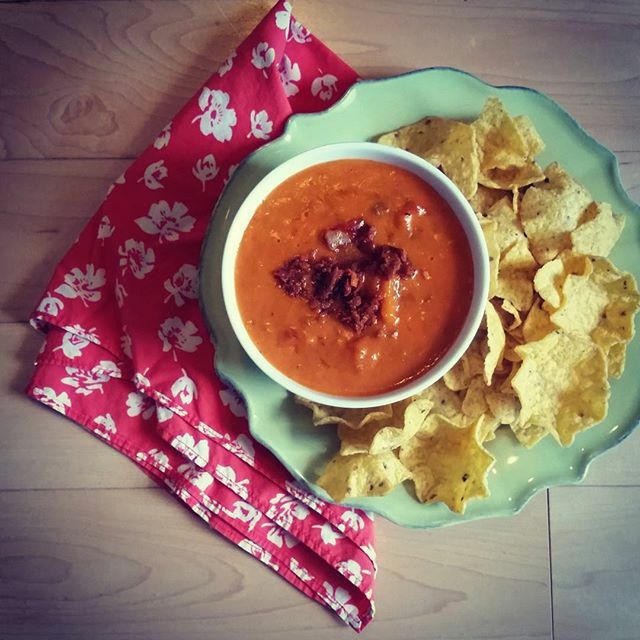 Let's end August with a spicy bang, this dip is the perfect way to end the Summer and begin the fall - totally Labor day party worthy and perfect with a Corona or two! Justin and I are hoping to fit in some R + R this weekend with Friends and Family, our Summer completely blew by but we are excited for the Fall and nearing the end of our home reno (definitely by Christmas!). This dip is definitely on the menu for me this weekend with a round of tacos for good measure, I mean who doesn't love Tacos + Cheesy Dip?